The most elegant affairs combine gorgeous decor, compelling and delicious fare, crowd-pleasing entertainment. Memorable events like these don’t just happen, they’re meticulously crafted by professional planners. In NYC, it takes a discerning eye for the best talent and creative flair to pull off the perfect celebration. 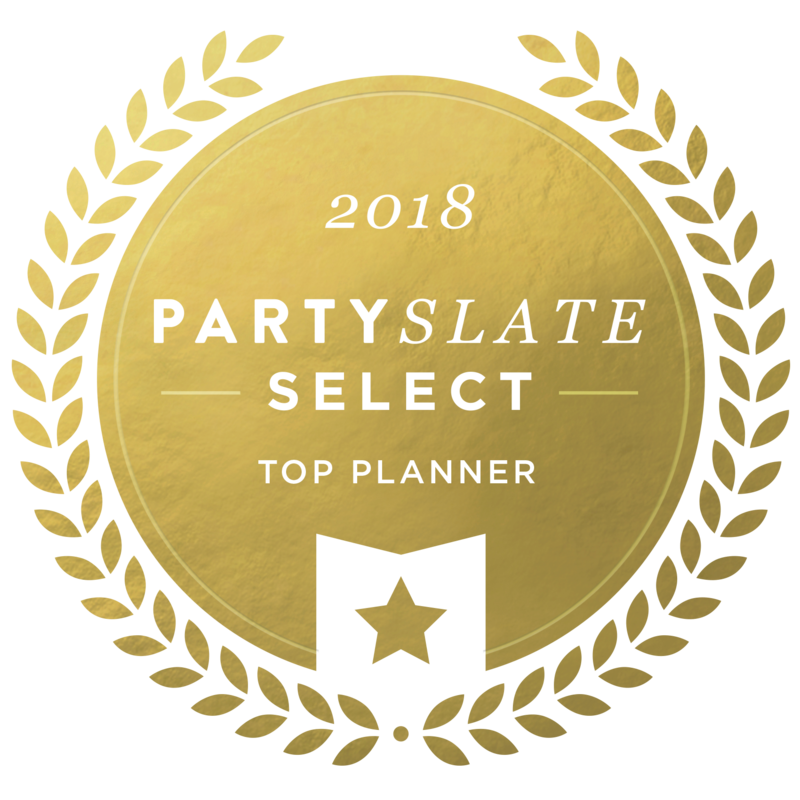 We’ve compiled a list of top event planners and event planning companies to help guide you in choosing exactly the right professional to meet your needs. "Very excited to be featured on @thestoryxchange's 1000+ Stories campaign! I share my story, secrets to success, and how to overcome challenges in the industry. Check out the full article!" Today, she is CEO of NYLUX Events, an event-planning business whose client list includes major corporations and non-profits as well as weddings and Bar and Bat Mitzvahs. Lauren Rachel was studying to be a professional ballerina while she was studying for her bat mitzvah. She and her event planner, Andrea Adelstein of NYLUX Events, put together a frilly, fluffy, and feathered bat mitzvah bash at the W Hotel Union Square. The idea was to incorporate the elegant details of classical ballet, while not being too over-the-top. We spoke to Adelstein about the lovely “Swan Lake”-inspired soiree. I believe invitations set the tone for the party. The wedding invitation has changed quite a lot over the past 30+ years. When I was growing up the choices were fewer and everything was a version of the same basic standard. Now couples can do almost anything: logos, craft paper, multiple colors and fonts. Brides and grooms can have their collective personalities shine through their invitation. I do caution couples to not go too outrageous, as I want them to love their invitation 10, 20 and 30 years from now. And a classic engraved or letterpress invitation is always gorgeous. Andrea Adelstein hopes to revive the lost art of the dinner party by reminding us to keep it simple. To all appearances, the dinner party exists mainly within the pages of magazines. Yes, there are block parties, progressive parties, underground restaurants, dinner with six strangers, etc. But what about those incredibly elegant, utterly everyday affairs we vaguely recall our parents talking about? Andrea Adelstein remembers. The Tenafly NJ native looks back to her childhood and sees the candlelit, laughter-filled evenings when her parents invited guests over for dinner. Through her company NY Lux Events, Adelstein attempts to recreate the relaxed glamour of intimate dinner parties for small groups and large throngs. Recently she was asked to consult on an event honoring Hillary Rodham Clinton; they do weddings, bat mitzvahs, life celebrations and all other special occasions where food is a must. I recently had the privilege of working with NYLUX Events to create custom cookies for a winter wonderland themed Bat Mitzvah. These designs are based on a logo created by the company for the event.